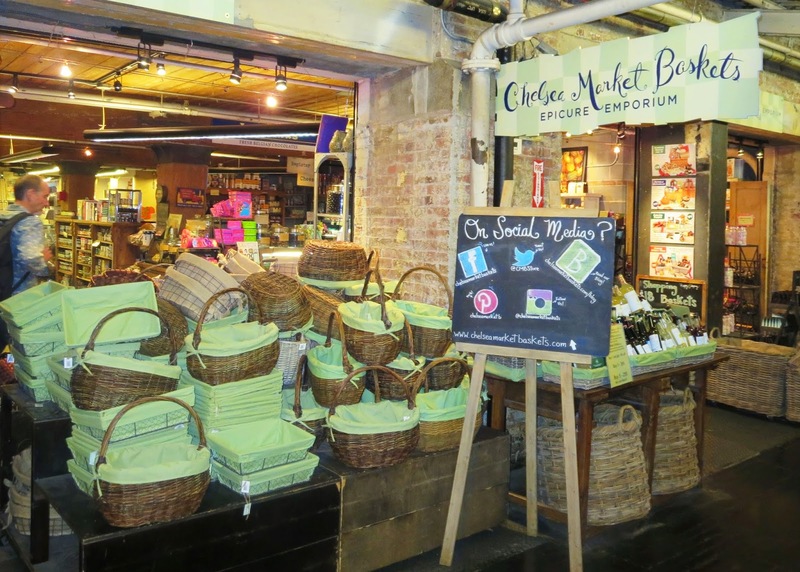 Chelsea Market, indoor market in a rustic building in Chelsea Manhattan, is ranked N6 of 584 shopping places in New York by Trip Advisor. 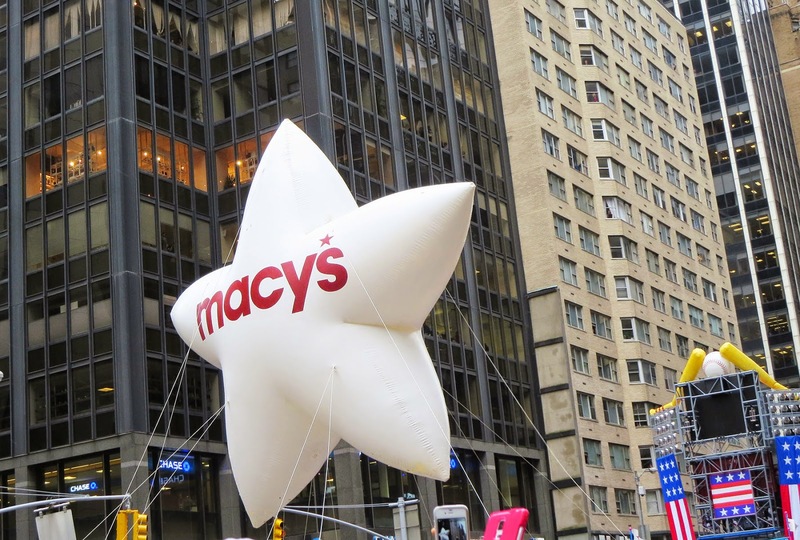 It attracts over 6 million national and international visitors annually. Throughout the market, there are a lot of decidedly vintage looking fixtures, like the switch compressor, a strange looking light, a stone bench with a stone pillow or fountain constructed out of discarded drill bits and an exposed pipe. 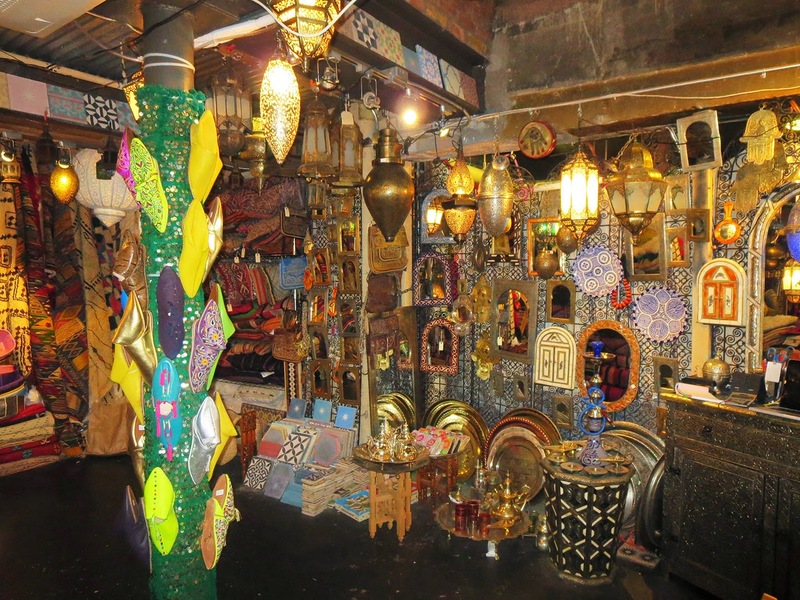 There is an eclectic mix of cuisines and foods in addition to some vintage/boutique shops there. 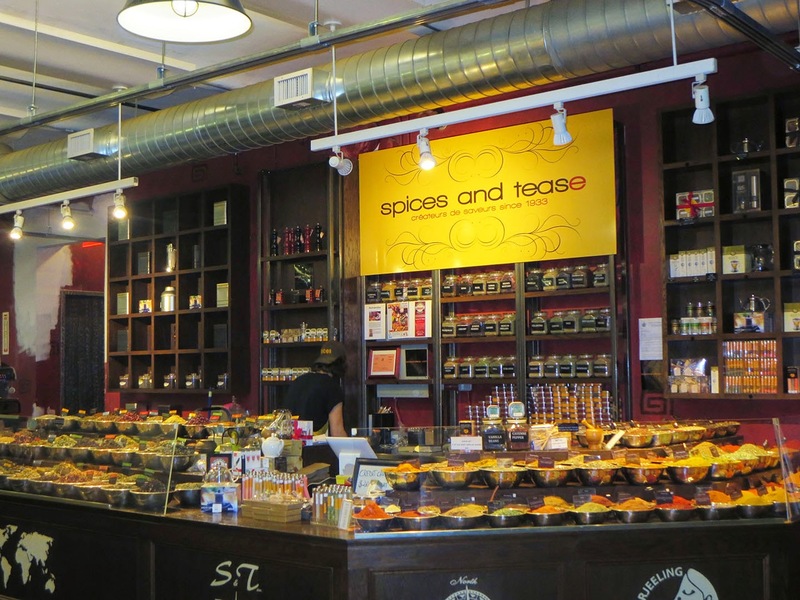 You can find multiple small restaurants and food shops there: a bakery, cheese shop, wine shop, cookware shop. You can buy here Moroccan carpets and Thai grocery , bestsellers and travel guides, pots and pans, fresh meat, fresh bakery, fresh spices and fresh flowers. You can eat tacos and gelatos, Australian meat pies and lobster, terrific chocolate brownies and handmade candy bars. And everything listed above is under the one roof- you do not need to go outside! It's a foodie paradise . 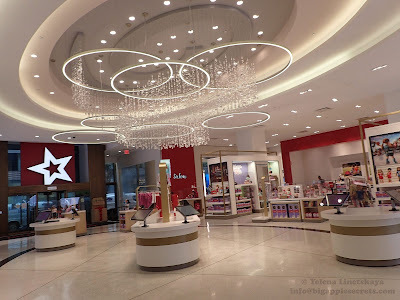 It is a wonderful place to walk through, especially when it is cold or rain outside, grab a bite or shop a little bit. You can spend at least two hours if you wish, maybe more. Everything is pricier than what you would see outside the marketplace, but on Happy Hour that starts at 4pm many of the restaurants have discount food or drinks. 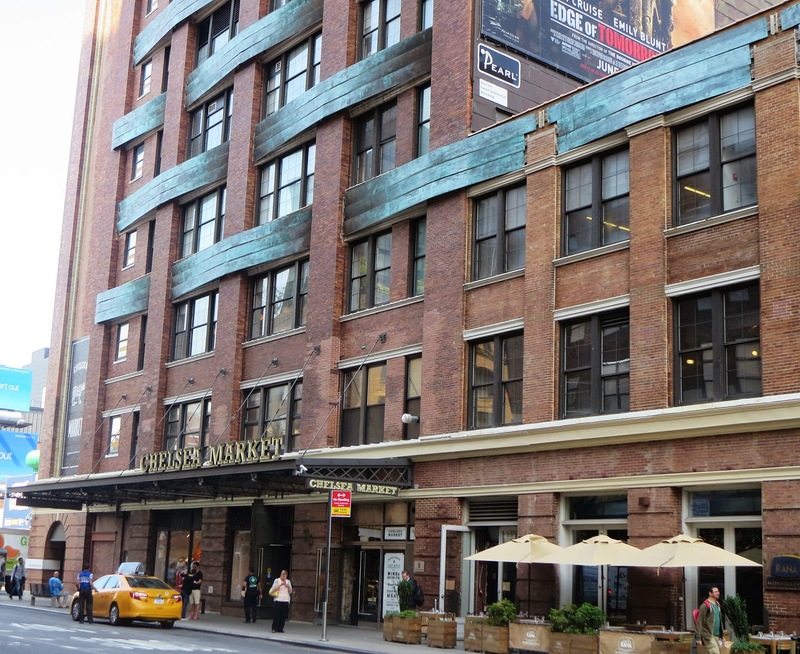 Chelsea Market's rise coincides with the neighborhood's dramatic transformation. A very popular linear park High Line runs through the building. Hudson River Park and Chelsea Piers are fifteen minutes by foot from the Market. 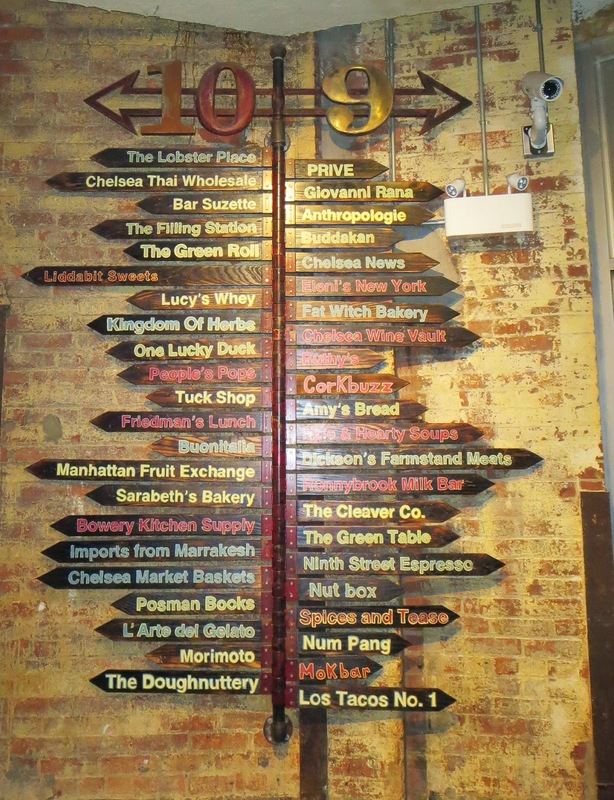 But Chelsea Market not only about shopping. This huge building (800 foot long) occupies the whole block between 10 and 11 avenues and has an amazing history. For more than 50 years, beginning in the 1890's, the building had been part of a large factory operated by Nabisco(National Biscuit Company). And the most successful product of Nabisco is Oreo cookie. Most of Americans have grown up with Oreo cookies. 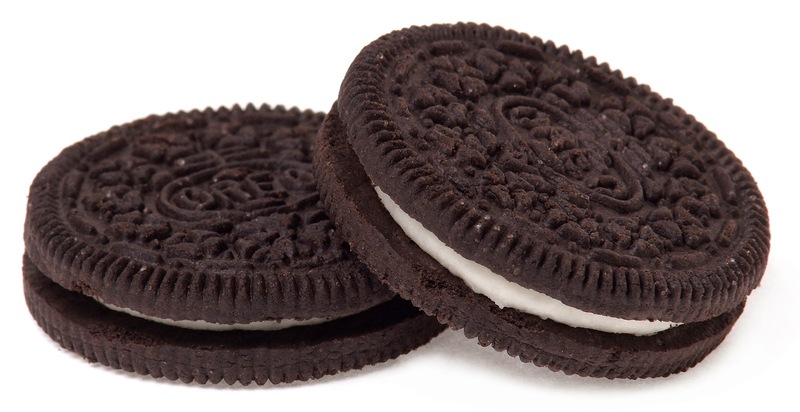 Everybody knows how Oreo look: two chocolate wafers with a sweet cream filling in between. And a lot of people know how it tastes: Oreo has become the best selling cookie in the United States since its introduction in 1912. The first Oreo cookie looked very similar to the Oreo cookie of today, with only a slight difference in the design on the chocolate disks. The price in 1912 was 30 cents per pound. 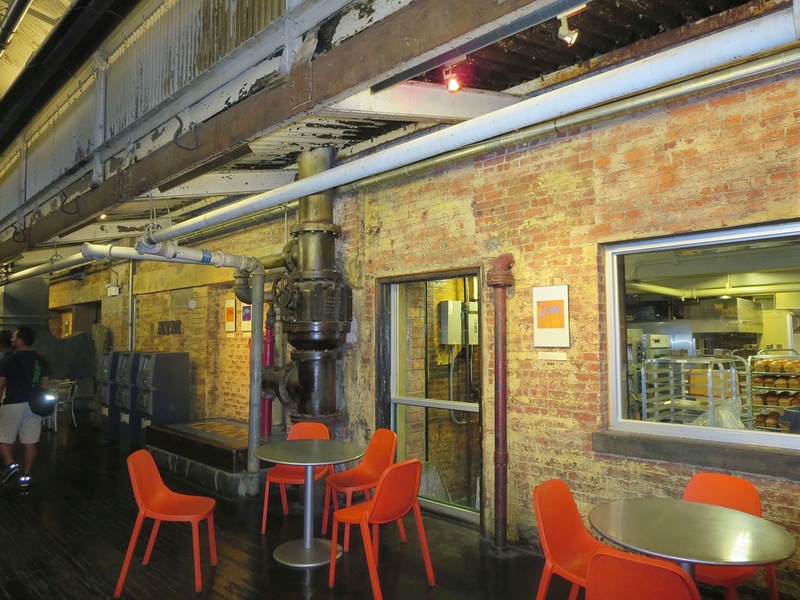 Oreo was produced in the Chelsea market building for the first time in 1912. Nabisco company was found in 1898 and very quickly became one of the most widely recognized names in the American food industry. In 1906, the company moved its headquarters from Chicago to New York. 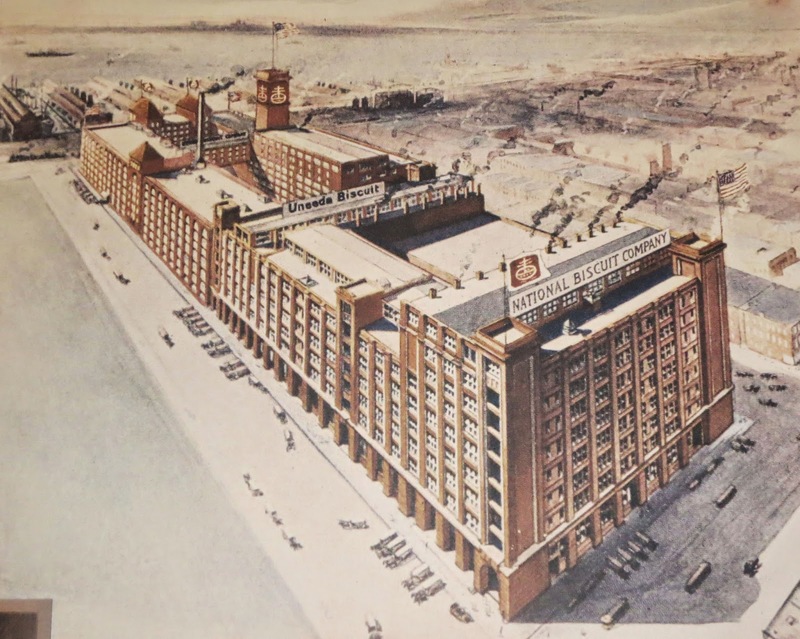 The Nabisco bakery complex was designed and built by the company’s staff architect, Albert G. Zimmerman. A year after that, Zimmerman also designed the 11-story full-block structure located on a former landfill site located in between 10th and 11th Avenue and 15th and 16th Street across the street from the current Chelsea Market. In 1958 the Nabisco production line moved to Fair Lawn, New Jersey and never returned to New York. 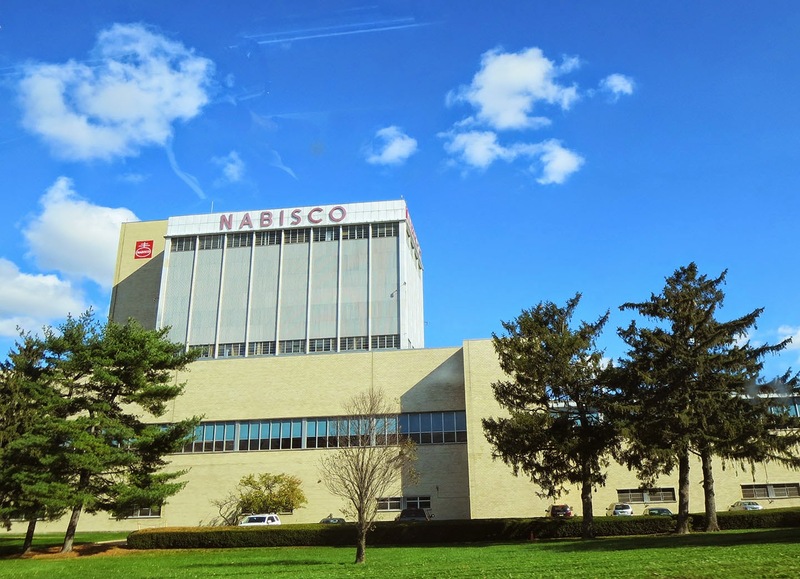 In 1970s and 1980s the old Nabisco complex in New York was used by a variety of companies to fulfill light industrial needs. 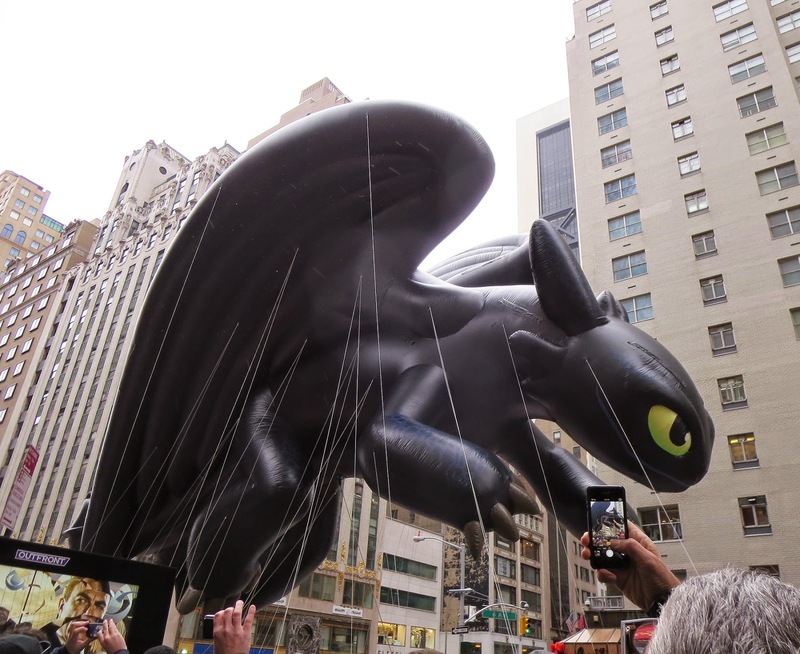 "It was the Wild West in Manhattan," Mr. Cohen said. "There had been three gangland-style murders in the building, with people on their knees shot in the back of the head. The building was controlled by street prostitutes, who told the staff when to open and close the loading docks. They used the loading docks for their clothes changes. And the tenants were in a revolt." Over the next several years Mr. Cohen reinvented the older complex, between Ninth and 10th Avenue, re-renting the upper floors to an emerging group of technology companies. 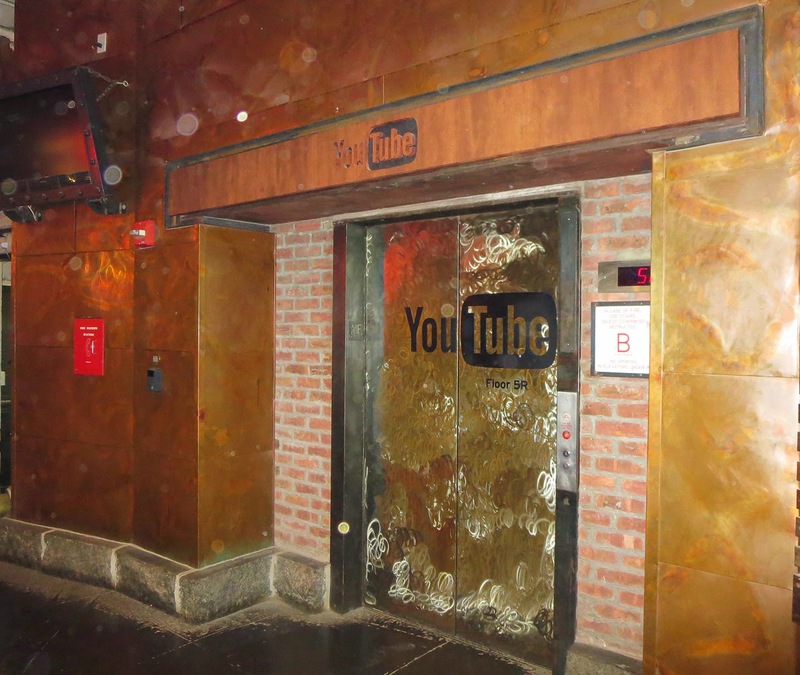 Google office is on the second floor and Youtube- on the fifth. New York times wrote in August 2005: " To walk through the Chelsea Market is to stroll through a sort of postindustrial theme park, carefully festooned with the detritus of a lost industrial culture, interspersed with food stores and restaurants....The old factory floors weave and bob, and the central hall is a jumble of disused ducts, an artificial waterfall, the original train shed, old signboards and other elements. Mr. Cohen's group remade the 1913 building on the west side of 10th Avenue into a regular office building, but the lobby is just as astonishing as Chelsea Market's, an amalgam of old cast iron light poles, plate girders, portholes and banks of television sets - it could be the Nautilus, Captain Nemo's submarine in "20,000 Leagues Under the Sea." 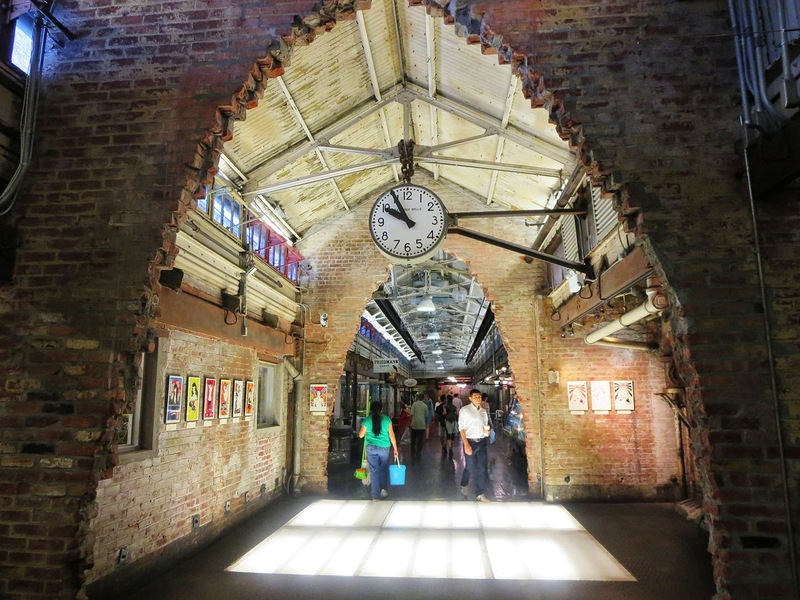 I visited Chelsea Market twice for very short visits, and both times I did not want to leave. Holiday season is around the corner, and I plan to go there with my camera to make pictures. 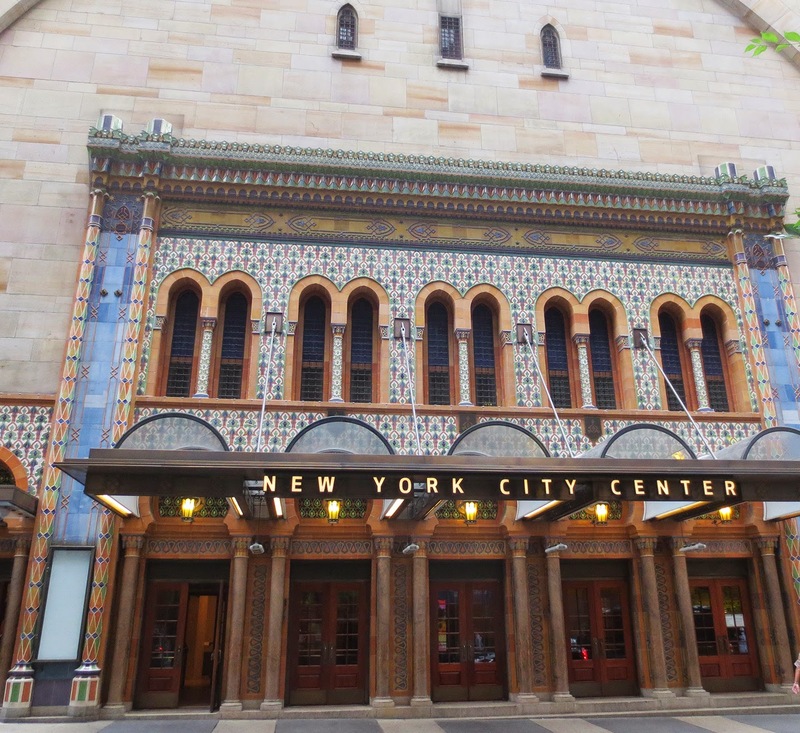 New York City Center, a wonderful concert venue in the heart of Manhattan on West 55 between 6 and 7 Avenue, was built in 1923 as a meeting hall for the members of the Ancient Order of the Nobles of the Mystic Shrine, commonly known as Shriners. 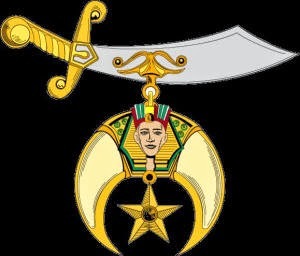 According to Shriners web site, "Shriners International is a fraternity based on fun, fellowship and the Masonic principles of brotherly love, relief and truth with nearly 200 temples (chapters) in seven countries and thousands of clubs around the world. " 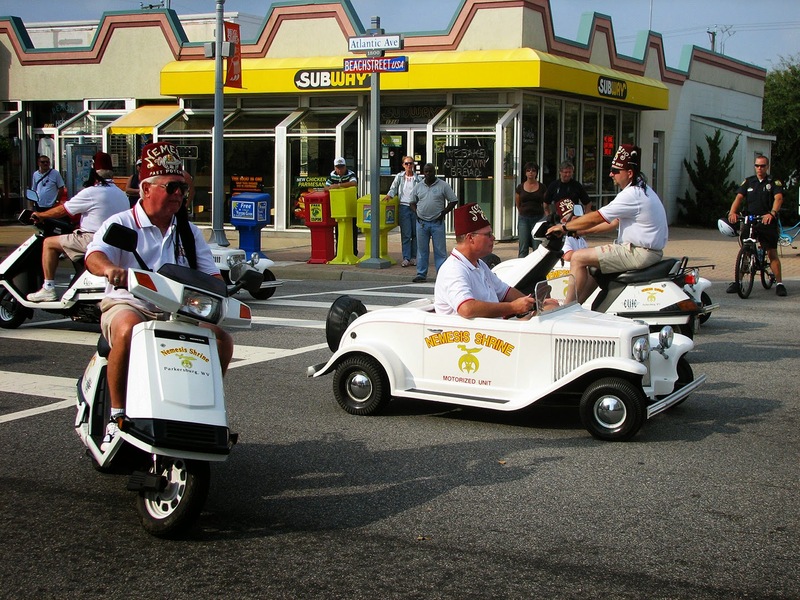 I saw shriners for the first time in 2006 on their parade when I was on vacation in Virginia beach. I was surprised to see hundreds of men dressed in the red funny hats on a tiny cars. It was the first time in my life when I met Masons. In 1870, several thousand of the 900,000 residents of Manhattan were Masons. Many of these Masons used to lunch at a special table at the restaurant at Sixth Avenue. Two of the table regulars, a prominent surgeon Walter Fleming and a well known actor William Florence thought that the world’s oldest fraternity – Masonry was too focused on ritual. These guys wanted a fraternity that stressed fun and fellowship. Florence came up with the idea for a Near Eastern-themed party after attending a party thrown by an Arabian diplomat in France. Fleming added the structure, sketching the name, rituals and rules. 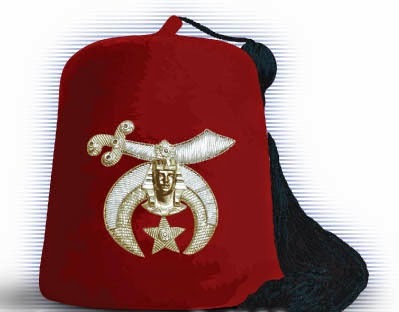 Together, Fleming and Florence designed the fraternity’s emblem and determined that the red fez with the black tassel would be the group’s official headgear. The fez derived its name from the place where it was first manufactured , the city of Fe in Morocco. 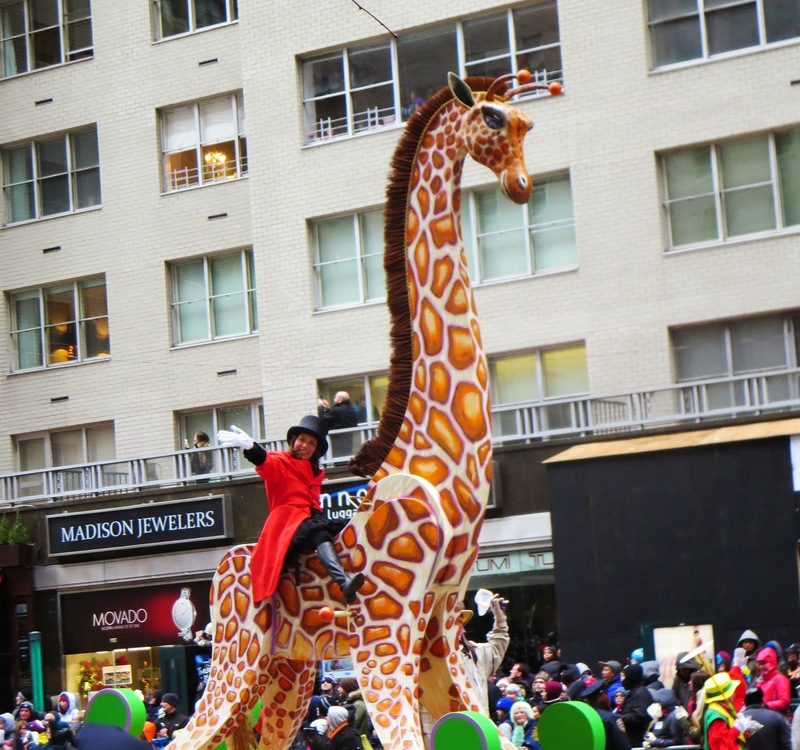 In 1922, the New York Shriners purchased a lot on West 55th Street between Sixth and Seventh Avenues. Harry P. Knowles, a Mason and a Shriner, designed the Moorish-style buildings, but he died early and the architectural firm of Clinton & Russell realized Knowles' designs. The 2,750-seat auditorium had a level main floor and two steeply-sloped balconies. In the basement there was one of the largest ballrooms in New York City. 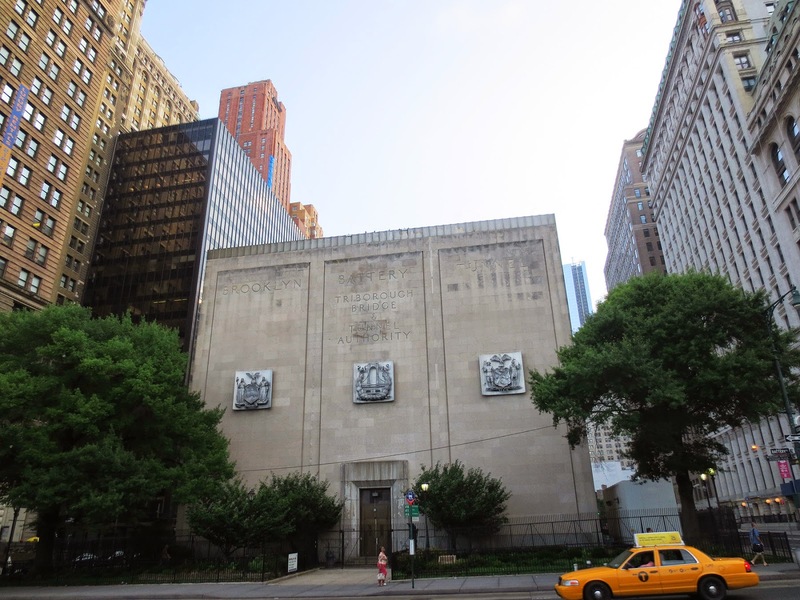 At the north side of the lot and opening onto 56th Street was a 12-story building that contained offices and three lodge rooms for use by the 12,000 members of the temple. The Mosque of Mecca Temple opened on December 29, 1924. For the next several years, Mecca Temple was rented for a variety of dramatic and musical performances, lectures and meetings. In 1937 the temple defaulted on its mortgage payments and in 1942 the city claimed the building for $622,000 in back taxes. 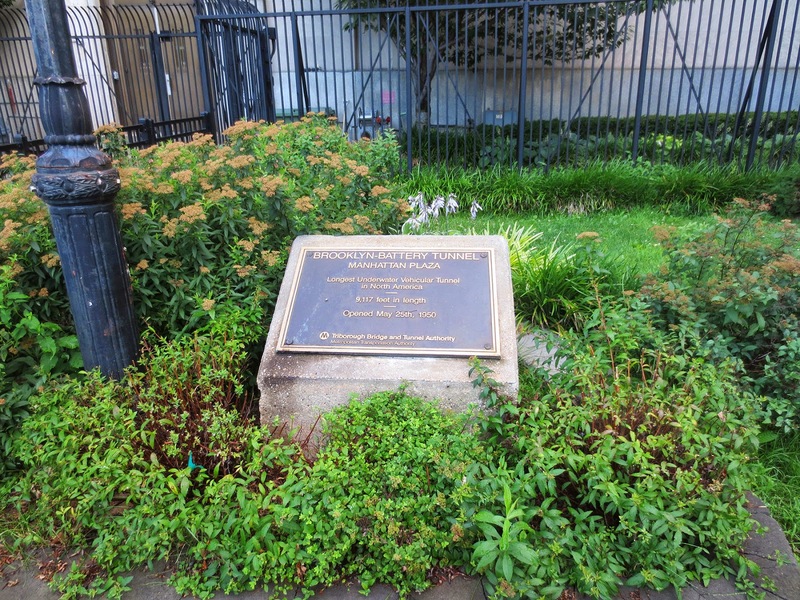 Mayor Fiorello LaGuardia saved the building and developed the idea for the City Center for Music and Drama, a New York home for the best of theater, music, and dance. Today there are approximately 350,000 Shrine Masons ( only men!) belonging to 191 chapters in the U.S., Mexico, Canada and the Republic of Panama. 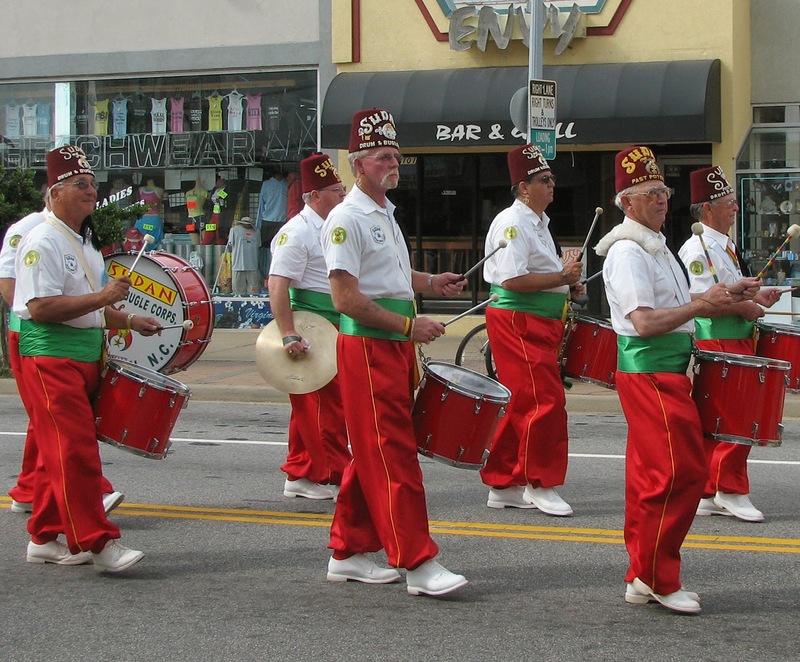 In order to become a Shriner, a man must first be a Master Mason -all Shriners are Masons, but not all Masons are Shriners. Presidents Franklin Delano Roosevelt and Harry S. Truman , actor Clark Gable and the second men on the moon Edwin Aldrin, the Founder of the FBI John Edgar Hoover and the last king of Hawaii were shriners. The City Center today is Manhattan’s premier arts center. Leonard Bernstein conducted the New York City Symphony in after-work concerts in New York City Center . The New York City Ballet and New York City Opera were both born at this theater. In 1987 Mr. Baryshnikov and Mr. Nureyev appeared on the same program as Maya Plicetskaya in this theater. The renowned choreographer Boris Eifman marked the marked the 35th anniversary of his Ballet of St. Petersburg with the U.S. premiere of " Rodin" in 2012 in New York City Center. In 2011, City Center was reopened after a started a $75 million renovation. 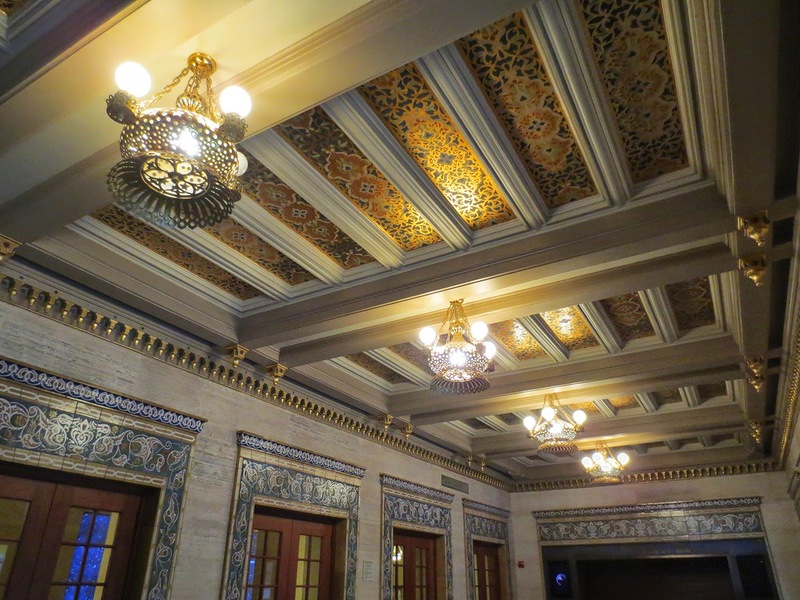 The mosaic walls, arabesque ceilings and the original box-office lobby were restored. In May 2015 New York City Center presents the American premiere of the new ballet "Tender is the night" from Boris Eifman based on the adaptation of novel by F. Scott Fitzgerald. Tickets are on sale now- so you have a chance to see an beautiful ballet in a beautiful theater! 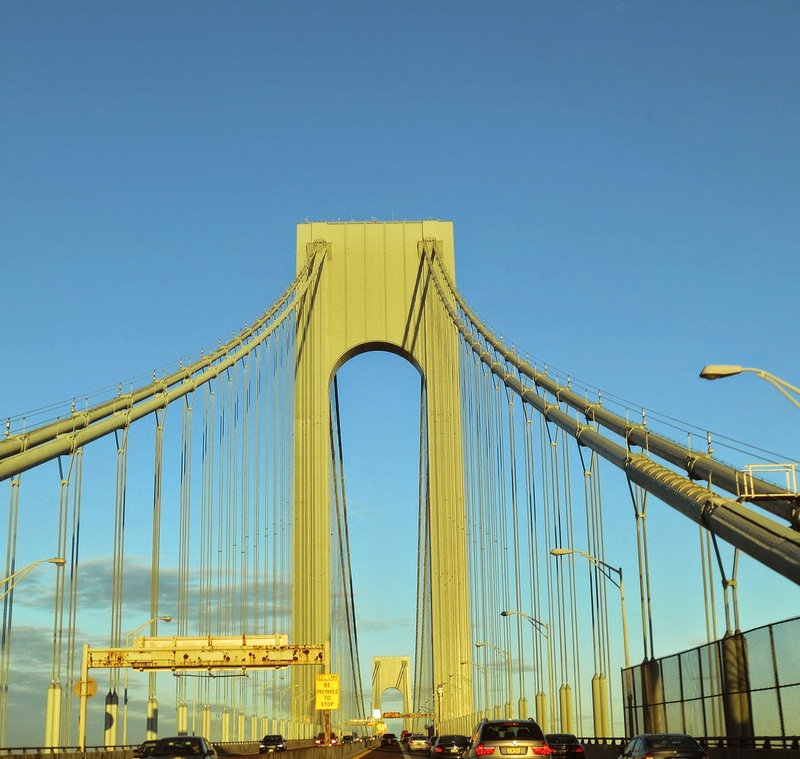 Verrazano Bridge is 50: The New York's youngest and the hemisphere's longest bridge. In his letter sent to King Francis I of France in July 1524 Giovanni da Verrazzano wrote: "...we found a very agreeable place between two small but prominent hills; between them a very wide river, deep at its mouth, flowed out into the sea...". Historians agree that it is the first mention of Staten Island and the Narrows in written history of the New York Harbor. Four hundred and forty years later and fifty years ago the bridge connecting two sides of the narrows- Staten Island and Brooklyn was built. The Italian Historical Society of America suggested to name the bridge "Verrazano Bridge" to honor Italian explorer Giovanni da Verrazzano. Governor Nelson Rockefeller agreed, but the name was misspelled - the second 'z' got dropped from the name . Other suggested names for the bridge included: the Gateway Bridge, the Liberty Bridge and the John F. Kennedy Memorial Bridge. Between the late 1800s and about 1935, there were many attempts to build a tunnel between Staten Island and Manhattan. 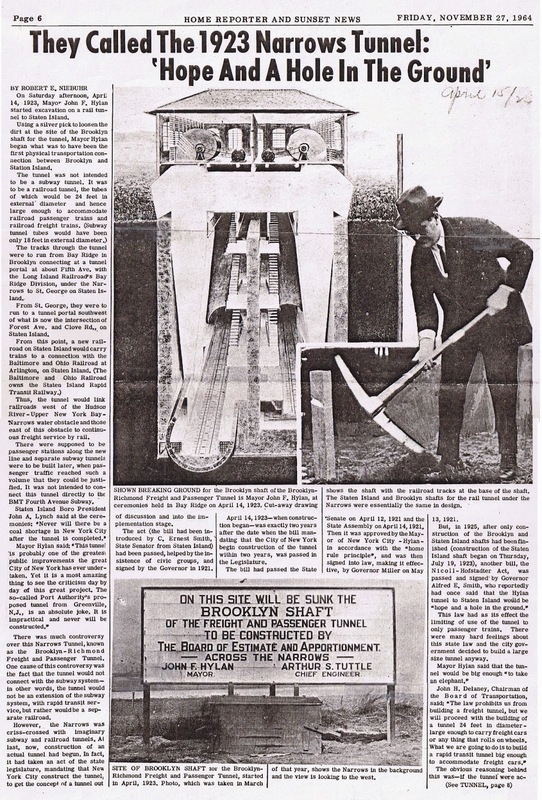 In 1923 the construction of the Staten Island tunnel started .The tunnel had to connect railways on Staten Island to the subway line on the Fourth Avenue in Brooklyn. The full plan included Narrows Tunnel, the 4th Avenue Brooklyn subway, and another tunnel going directly from Staten Island to Manhattan, with stops on the Jersey side of the harbor, and even stations at Liberty and Ellis islands. Because of unexpected costs, the work was stopped. The abandoned tunnel went 150 feet (45m) into The Narrows in the Bay Ridge section of Brooklyn. 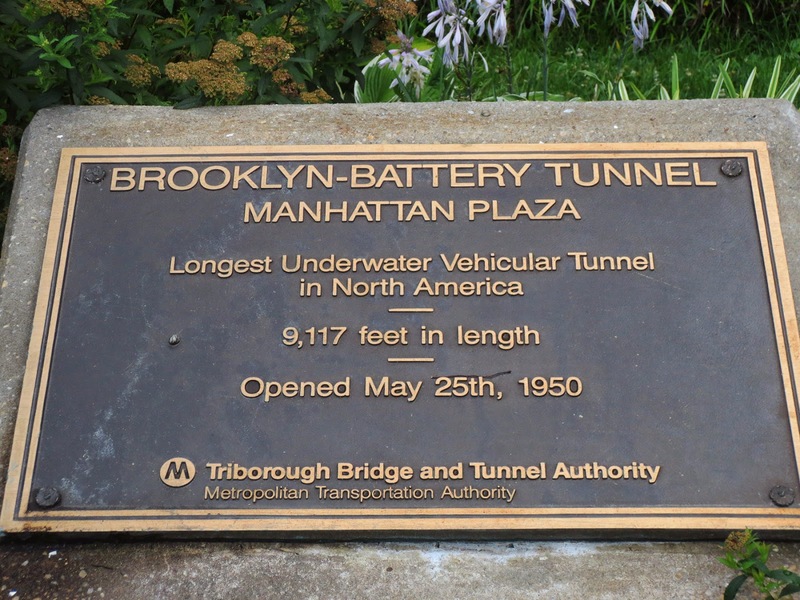 By the way there are really two underwater tunnels between Brooklyn and Staten Island, but these tunnels, built more than hundred years ago, are not for the cars and buses but for the drinking water. Staten Island is the island in the ocean and does not have its own source of drinking water. 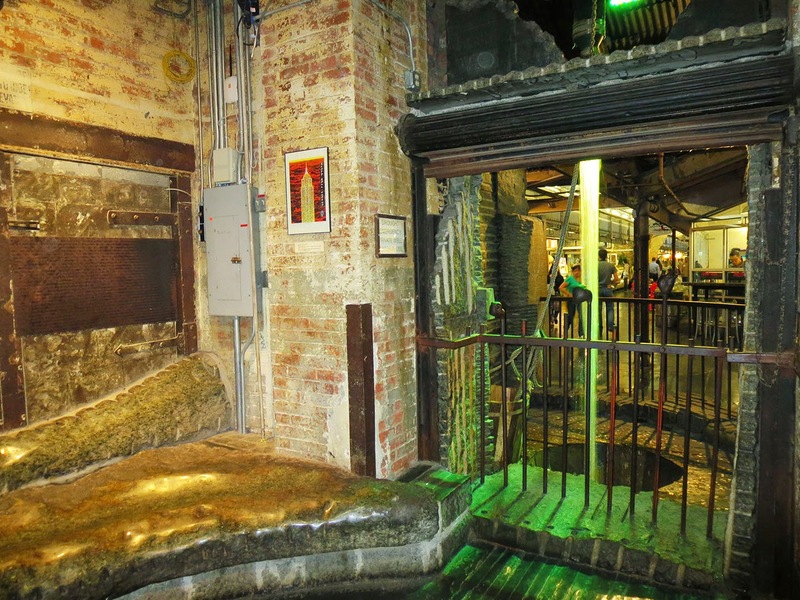 In 1970 a new 10-foot diameter Richmond water tunnel was built, so the old water tunnels remain now as a backup. In 1926, bridge engineer David Steinman proposed a suspension bridge across the Narrows. Steinmann named it Liberty Bridge. The proposed bridge was a hybrid of the Golden Gate bridge in San Francisco and the Brooklyn Bridge with two 800-foot-tall Gothic towers . The Liberty bridge was never built. The New York City Board of Transportation floated two additional Narrows Tunnel proposals in 1929 and 1937. All proposals were shelved because of the Depression, and later, because of World War II. In 1957 the New York State Legislature and the Board of Estimate approved construction of the new bridge. The bridge was the brainchild of Robert Moses, who had more influence on New York City that perhaps any other individual in its history. 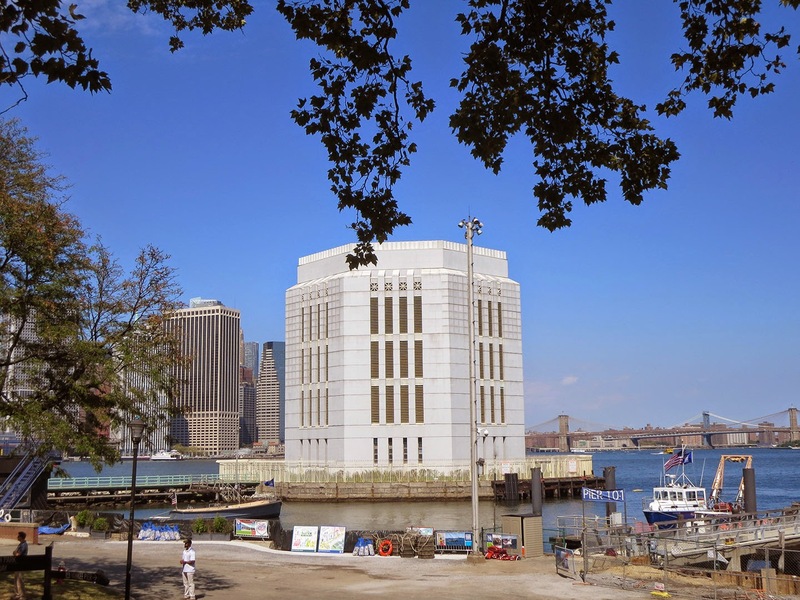 Among Moses's many other projects are the Brooklyn-Battery Tunnel and Brooklyn-Queens Expressway. 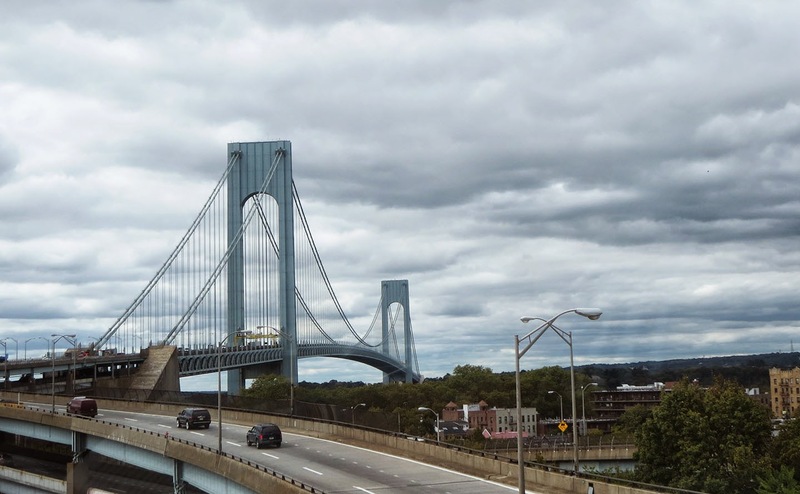 The bridge, connecting Staten Island to Bay Ridge, Brooklyn, was the last major road in Moses's grand plan to connect all of New York by car. The chief engineer was the great Swiss engineer Othmar Ammann. The bridge was the last project designed by Ammann, who had started his career in New York on the George Washington Bridge in 1927. When Verrazano bridge opened, Ammann was 85 years old. The new bridge was so large that its design called for the towers to be angled slightly away from each other to compensate for the curvature of the Earth. Some 12,000 men worked on the bridge; about 1,000 men worked on site during the construction schedule's peak. About 800 buildings were demolished, requiring the relocation of 7,000 residents. The Verrazano-Narrows Bridge opened on November 21, 1964, at a cost of $320.1 million. At that time it was the longest cable suspension bridge in the world. Today it remains the longest suspension bridge in the United States, spanning 9,865 feet. On November 22, 1964, the Bay Ridge-St. George, Staten Island ferry went out of business after almost a century’s service. In 1964 the cost to cross the bridge was $0.50. Now the full fare is $15. By 2009, the bridge was generating $1 million every twenty four hours for the Triborough Bridge and Tunnel Authority. MTA officials are considering yet another hike on the Verrazano Bridge - the drivers will pay $16 cash toll to make the journey from Brooklyn to Staten Island. • The bridge's two towers are the tallest structures in New York City outside of Manhattan, and are taller than the tallest non-Manhattan buildings. • The cruise ship Queen Mary 2 was redesigned with a flatter funnel to pass under the bridge, and has 13 feet (3.96 m) of clearance under the bridge during high tide. 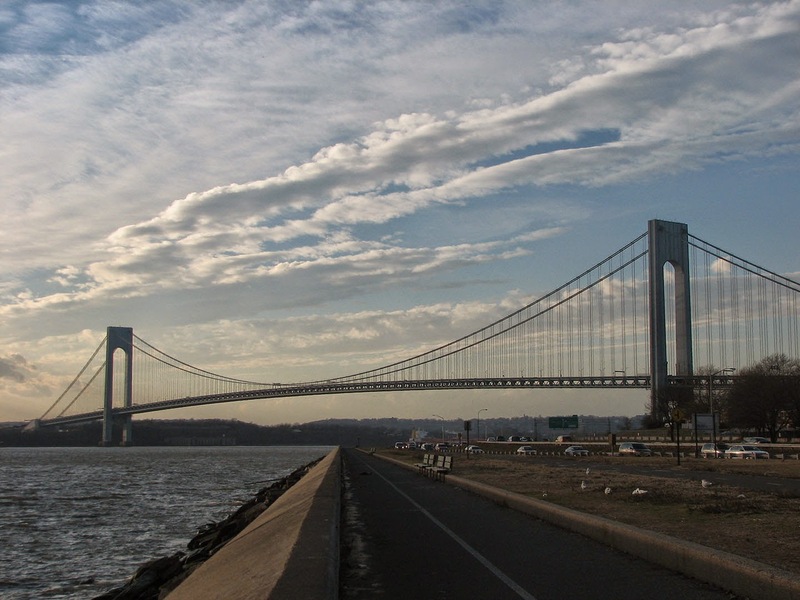 The construction of the Verrazano-Narrows Bridge opened many areas of the Staten Island to residential and commercial development. 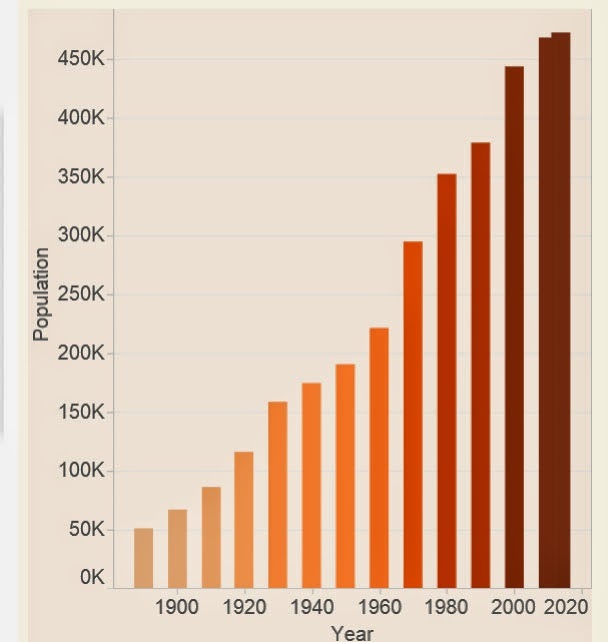 Staten Island's population doubled from about 221,000 in 1960 to about 443,000 in 2000. Verrazano bridge remains the major commuting artery connecting Staten Island to the rest of New York City, carrying nearly 200,000 drivers each day. 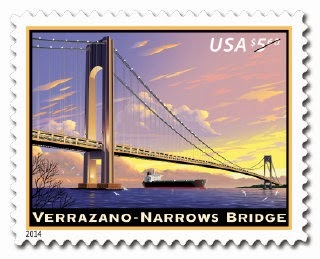 Fifty years ago years ago a regular U.S. mail stamp was issued in 1964, celebrating the bridge's opening. Tomorrow, on the bridge's 50th anniversary United States Post Office representatives will officially unveil an express mail stamp commemorating the event. 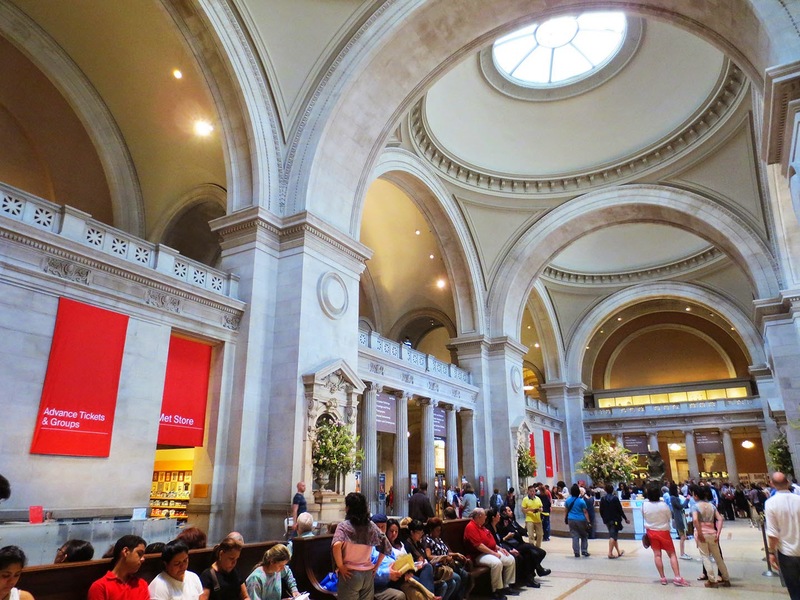 New York City's Metropolitan Museum of Art is one of the largest museums in the world. There are more than 2 million pieces of art, including renowned paintings, porcelain, musical instruments, historical artifacts, costumes and even armaments. More than 6 million people visited the museum in 2013. Museum opened in 1880. Facade and Great Hall, designed by the architect Richard Morris Hunt, opened to the public in December 1902. Hunt designed the pedestal of the Statue of Liberty and many Fifth Avenue mansions, that were later demolished, and founded both the American Institute of Architects and the Municipal Art Society. Richard Morris Hunt died before construction of the museum began, and his son carried out the design almost to his specifications. 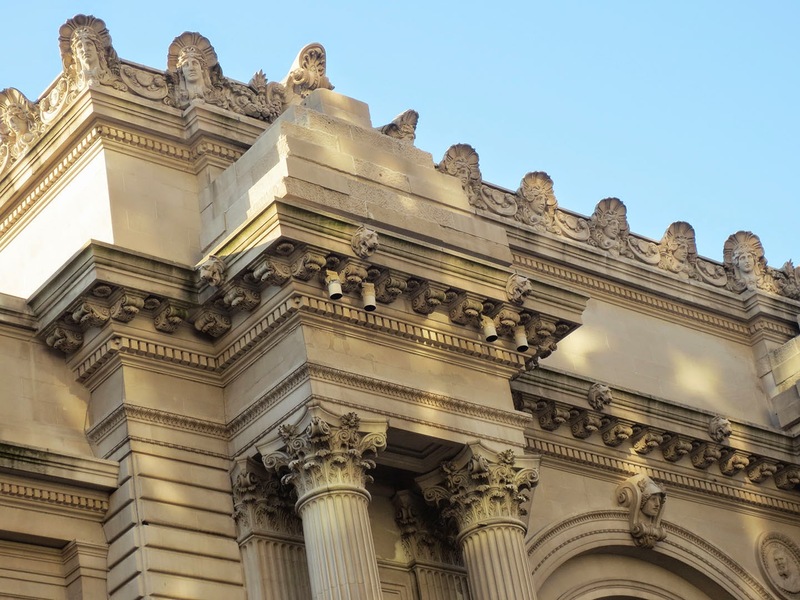 In Hunt’s original design, the four pairs of columns had to be topped by sculpture groups representing four great periods of art: Egyptian, Greek, Renaissance and Modern. Between each pair of columns there is a niche where Hunt intended to set a copy of one great work from each historical era. But these plans were never realized - money ran out, the blocks went unfinished, and the niches are still empty. 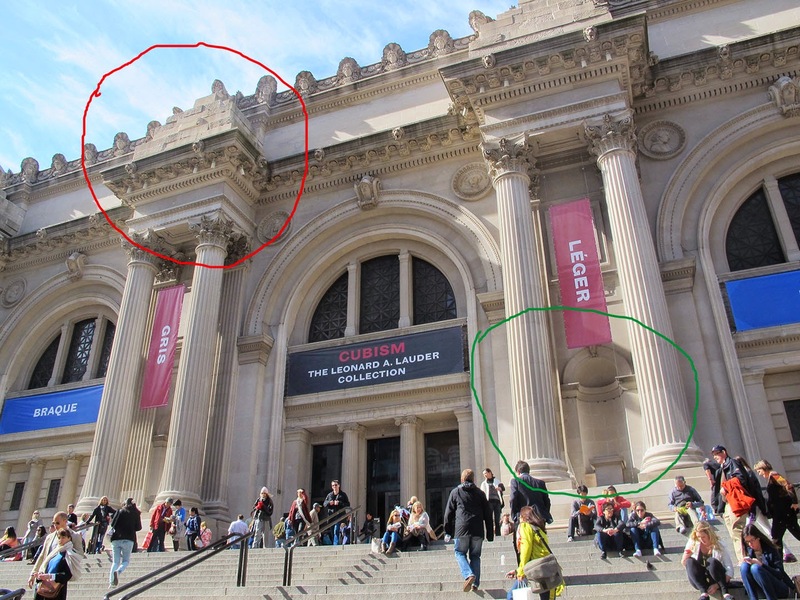 During last two years the museum's Beaux-Arts Fifth Avenue facade was hidden behind the blue plywood. 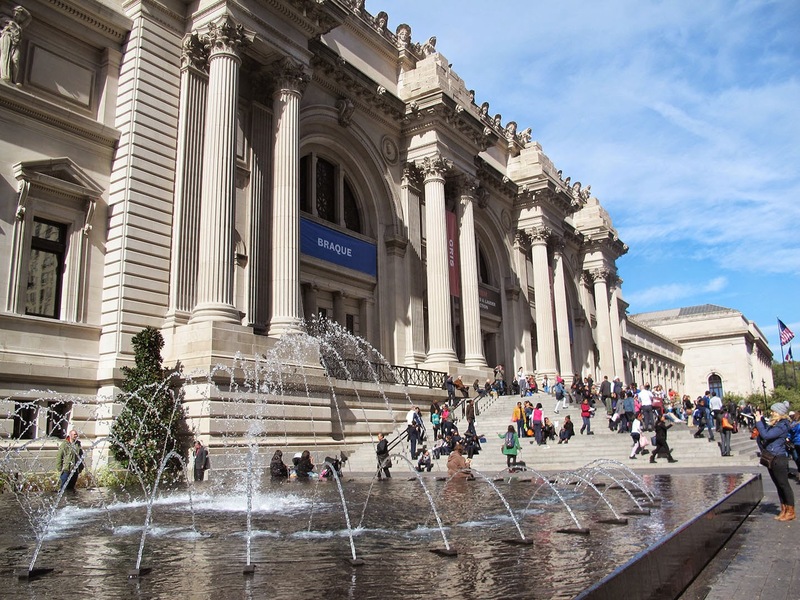 Two years ago billionaire industrialist and Metropolitan Museum of Art Trustee David Koch contributed the entire $65 million cost of the project. With an estimated net worth of $41.9 billion, David Koch is the sixth-richest person in the world. 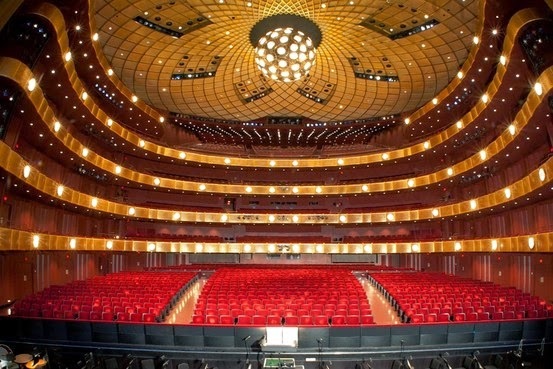 In 2008, the David H. Koch Foundation gave $100 million to preserve and renovate the Lincoln Center's State Theater of New York, now known as the David H. Koch Theater. It houses the New York City Ballet. This gift of $20,000,000 established the David H. Koch Dinosaur Wing in the American Museum of Natural History. A cancer survivor, Koch donated $100 million to the Integrative Cancer Research at Koch's alma mater, Massachusetts Institute of Technology in Boston. 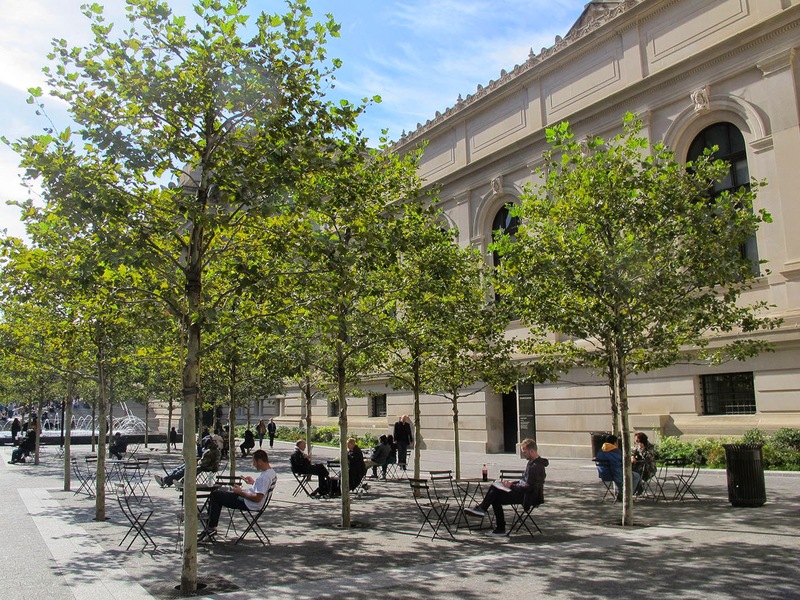 Thomas P. Campbell, Director and CEO of the Museum, said: "Finally, more than a century after the completion of the Met's grand Fifth Avenue facade, and more than forty years after its last plaza renovation, the Museum has created a truly welcoming point of entry, a cityscape that is environmentally friendly and that will please our visitors as they come to experience the unparalleled breadth of masterpieces on display inside. 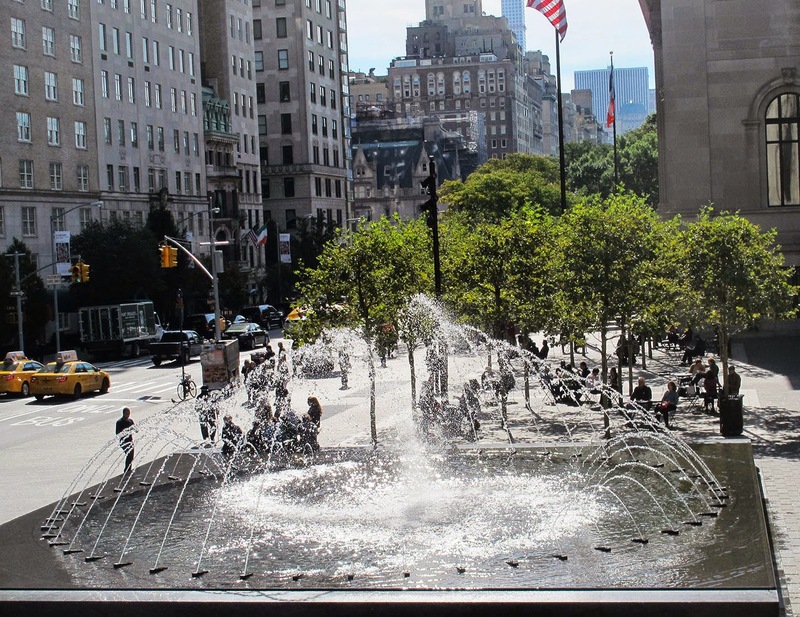 Rather than finding the complexity of the project daunting—from the hauling of granite for new fountains and paving stones, to the planting of trees and the installation of hundreds of LED lights, on an area roughly the equivalent size of three football fields—David Koch recognized its significance, embraced it, and made it happen." 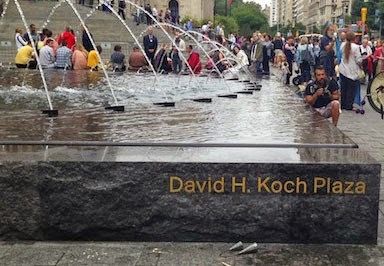 You can find the name of the contributor, David Koch, on the base of fountains. 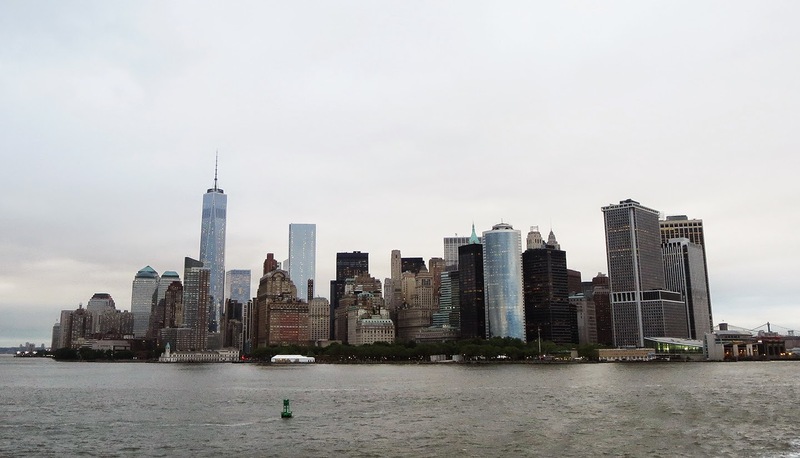 The best way to admire the Manhattan skyline is from the harbor. Staten Island Ferry, considered the “Best Ride in New York City,” gives you this opportunity for free. 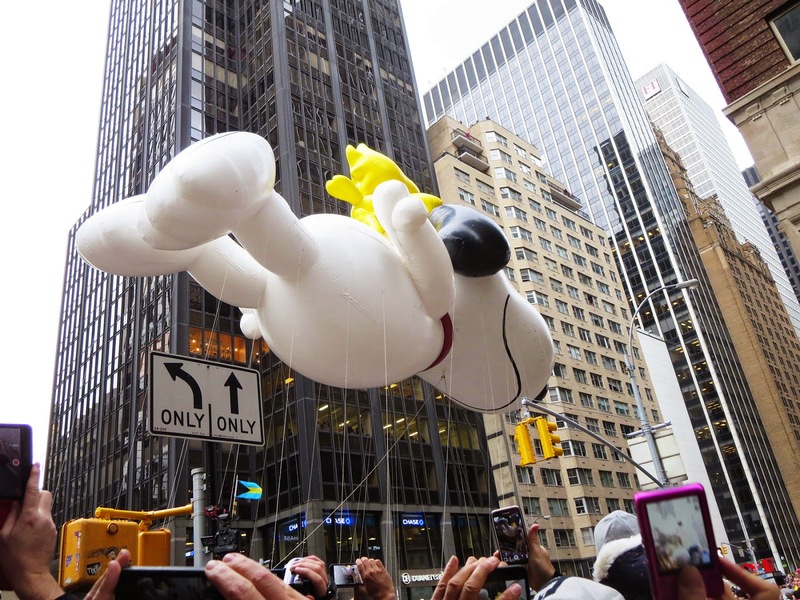 Everybody knows that New York City is the city that never sleeps. 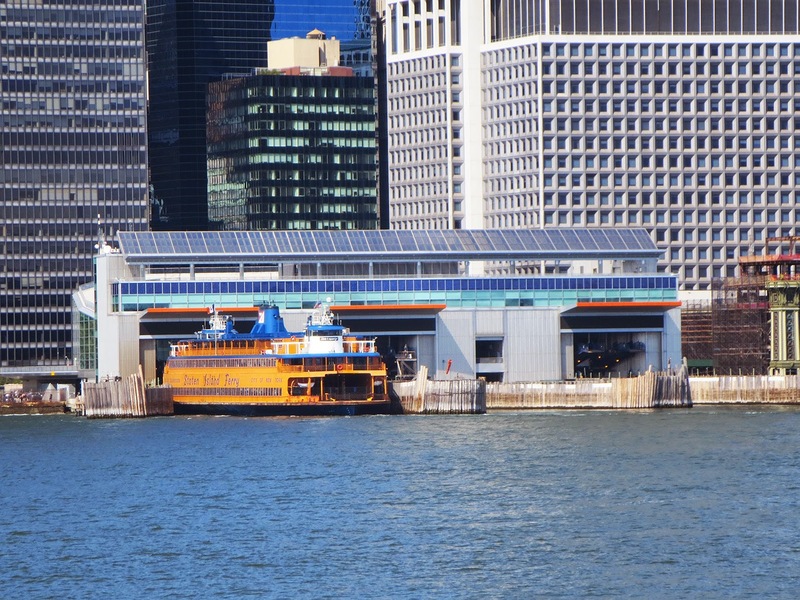 Staten Island ferry schedule proves it: ferry runs 24/7 365 (or even 366!) days a year! From the deck of the ferry you will have a perfect view of The Statue of Liberty and Ellis Island. You'll see the skyscrapers and bridges of Lower Manhattan. 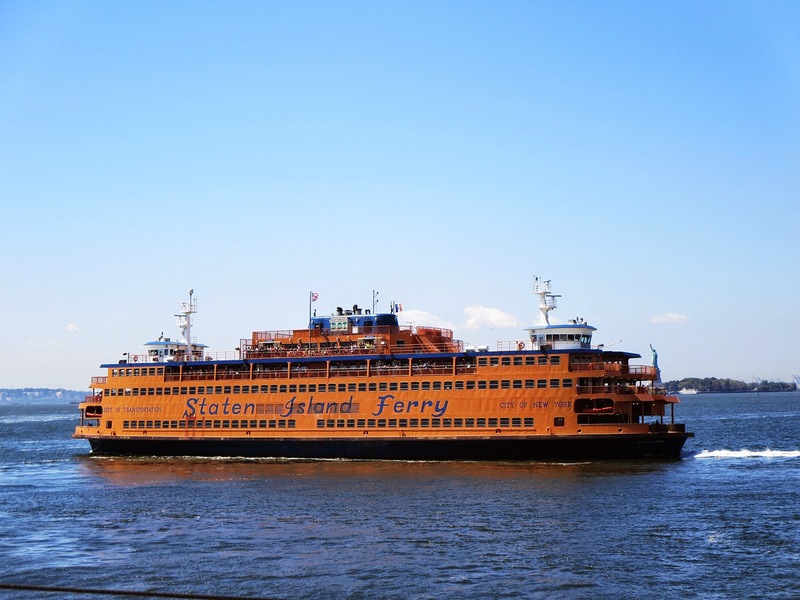 Today, the ferry is recognized as a New York icon and a symbol of the borough of Staten Island. 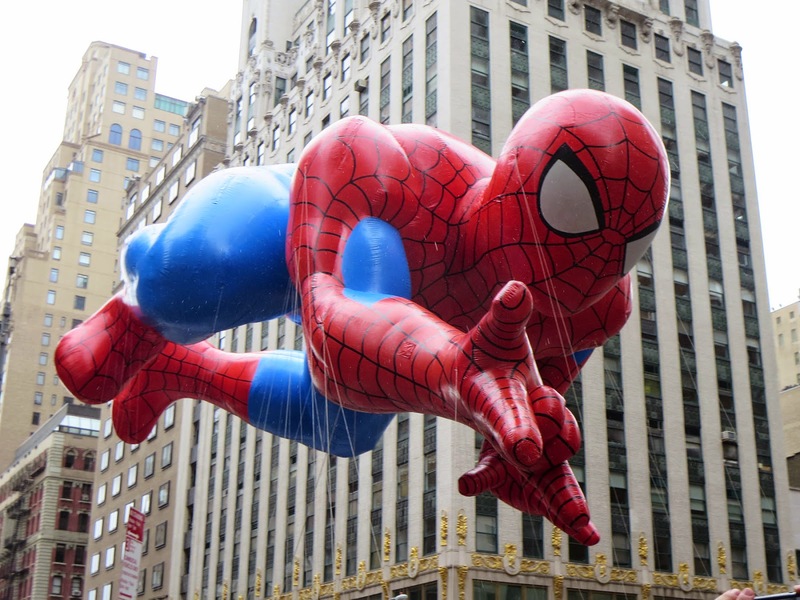 Today, Staten Island is the fastest growing borough in New York City. In area, it is two and a half times as large as Manhattan, but its current population of nearly 500,000 is less than Manhattan’s was in 1850. The only direct link to Manhattan is the Staten Island Ferry. The first Ferry between Manhattan and Staten Island established in 1747. On October 25, 1905, the new ferryboats named after the five city boroughs - Brooklyn, Bronx, Richmond, Queens, and Manhattan were introduced. These were the largest ferries on the East Coast and made the crossing ( 5 miles- 8 km) in 22.5 minutes. In 1905, a nickel bought a ride aboard one of these coal burning steam ferries. 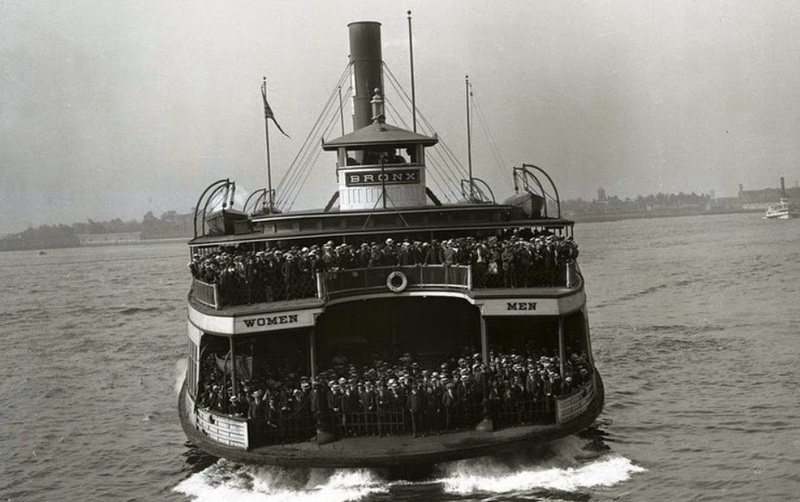 In the early days of NYC ferry travel one side of the boat had the men's toilet and the other side had the women's toilet and the signage was to assist passengers so they could easily locate the correct facility without having to encircle the entire vessel. Later after these boats were retrofitted with multiple bathrooms on each side the MEN and WOMEN sides became SMOKING and NO SMOKING sides. On July 4 1997, after 82 years of the history, the Staten Island Ferry (50 cents round trip) , turned into a free boat ride, just as the same day when a new Metrocard allow free transfers between buses and subways in the city. In October 2003 one of the five vessels slammed into a pier while docking amidst high winds. Eleven commuters were killed. Since then, precautions and protocols have been adopted and the ferry returned to service after a multimillion-dollar rehabilitation with a permanent memorial plaque. Seven years later the same ferry boat , the Andrew J. Barberi, one of the largest in the Staten Island fleet, was involved in another accident. The ferry was commissioned in 1981. For five days after Hurricane Sandy, the Staten Island Ferry did not operate. The boats were mostly unscathed during the storm. 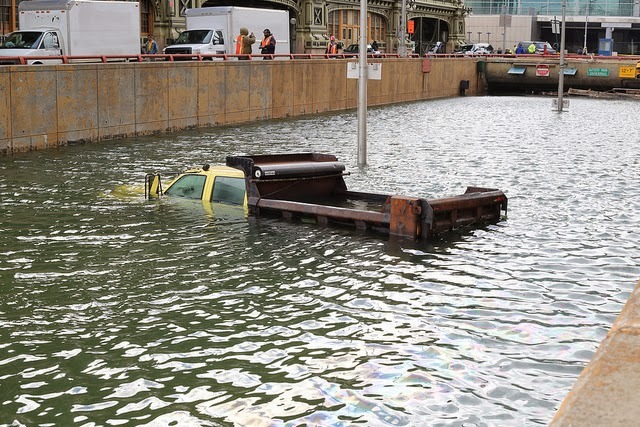 But there was $30 million in damage to the St. George and Whitehall terminals and to the piers. 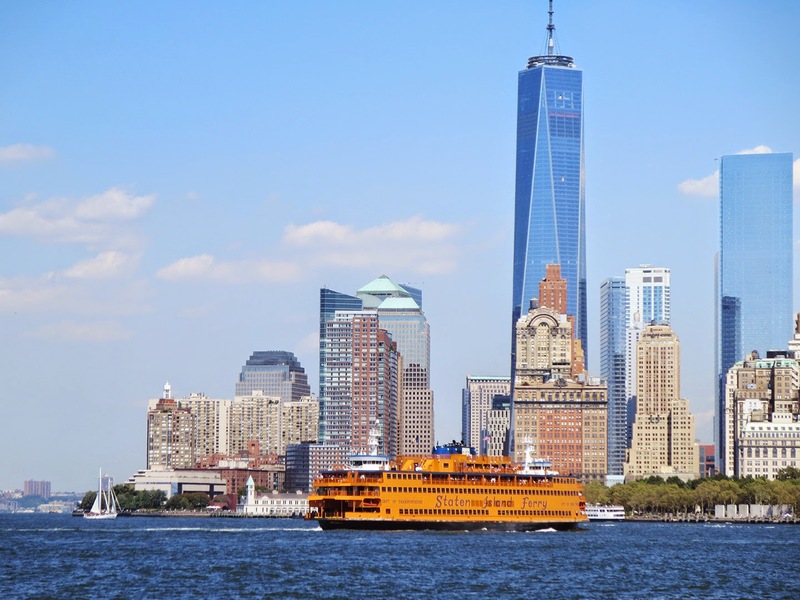 New York is planning to acquire a total of three new 4,500-passenger ferries that will be more maneuverable, resilient and capable of operating in a wider range of locations and conditions. Now on a typical day, 109 trips move about 70,000 people across the harbor, making the Staten Island Ferry one of the most reliable forms of mass transit in the city. 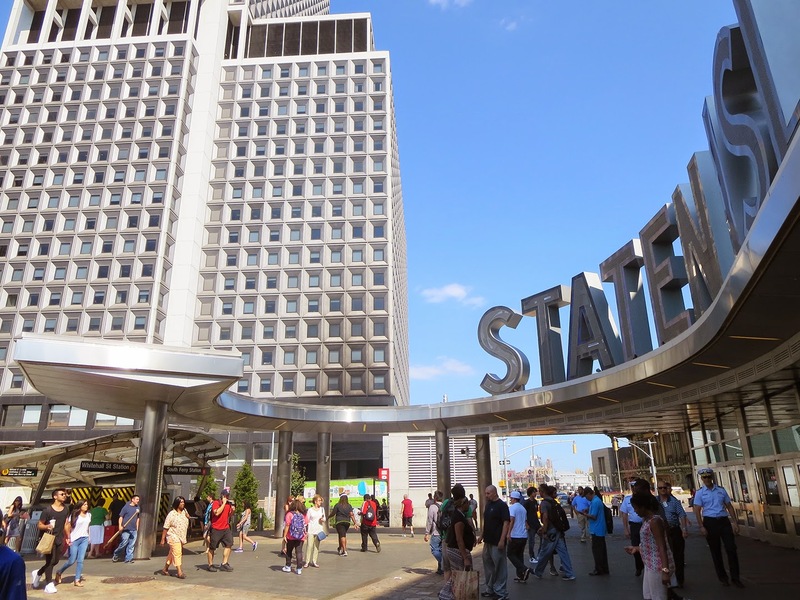 A new Staten Island Ferry Terminal in Manhattan was open in 2005, replacing the old one damaged by fire in 1991. No cars are allowed on the ferries after carried due to security concerns after 9/11/2001. There are nine ferry boats in four classes currently in service. The keel of the newest one Spirit of America built with steel from The World Trade Center Towers. The ship was named to honor the spirit and unity of America after the attacks. Two of them The Newhouse and Barberi are the highest passenger capacity vessels in the world at 6000 passengers each. Beer, soft drinks, sandwiches, hotdogs, and pretzels are available for purchase on board, 24 hours a day, seven days a week. But my advice is- grab something to eat before embarking the ferry - you can have better and cheaper choices. To enjoy the best free view of the statue of Liberty and the wonderful New York skyline do not go inside the boat and stand near the railing on the right side of the ferry. And do not forget to bring a jacket or a windbreaker - the winds on the water can be surprisingly brisk. The best time to go is 30 minutes before the sunset on a sunny day. And do not leave you camera at home!